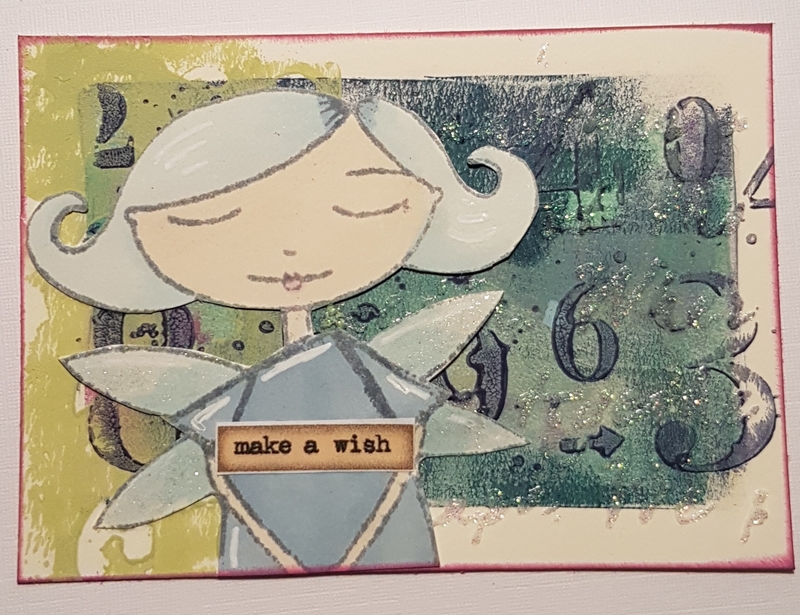 Some ATCs to share with you today that aren’t Christmas ones. These are my Anything Goes swaps for UK stampers forum over on facebook. 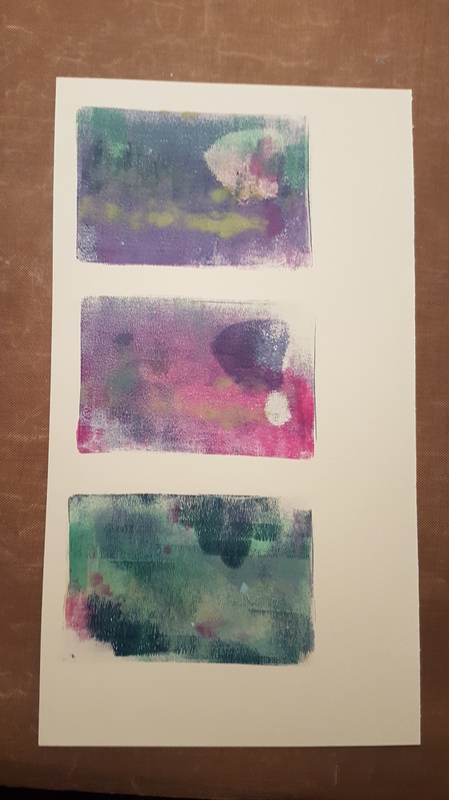 I started with three mini gelli prints using Paperartsy fresco finish paints and the gel press petite plate. I loved these mini works of art already! Next I added glimmer paste through a script stencil and let it dry overnight. Next up some stamping. I used the Badass artchick studio stamps with the paints to add more pattern. 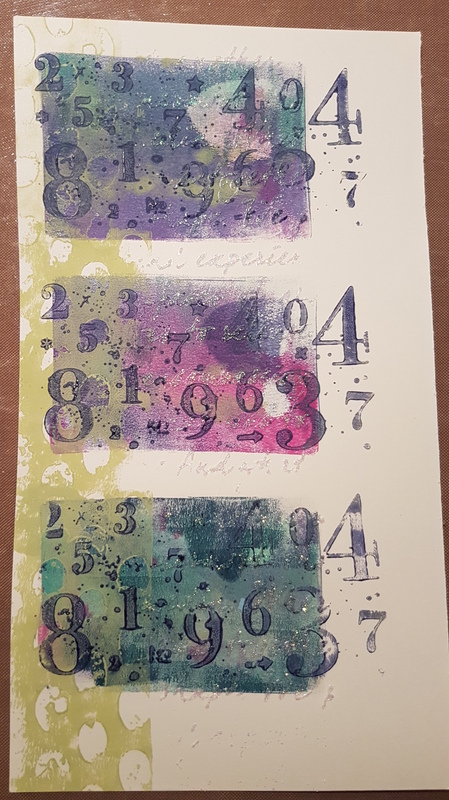 These stamps were bigger than the panels but that’s ok as the rectangles for the ATCs are bigger than the mini gelli plate. Then to choose a focal feature. 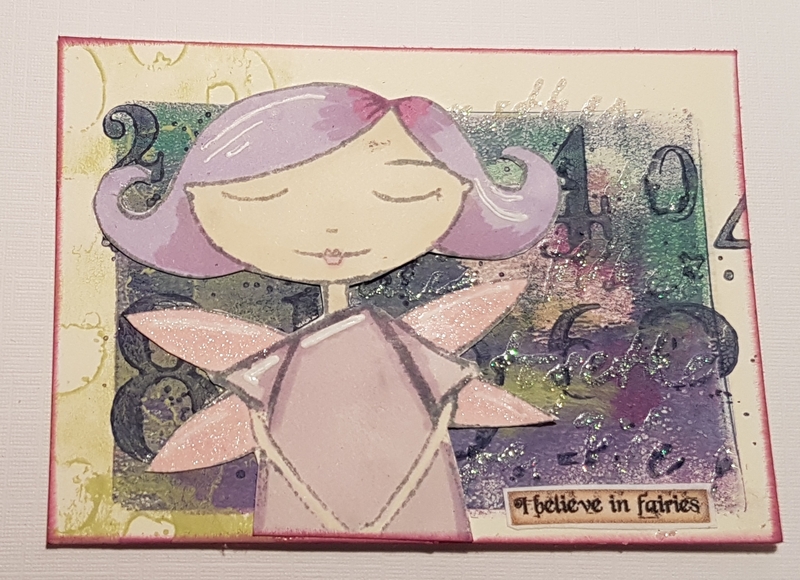 I decided to go with the Trish Latimer fairy and stamped the top section three times using the distress oxide and then coloured them in with the promarkers. 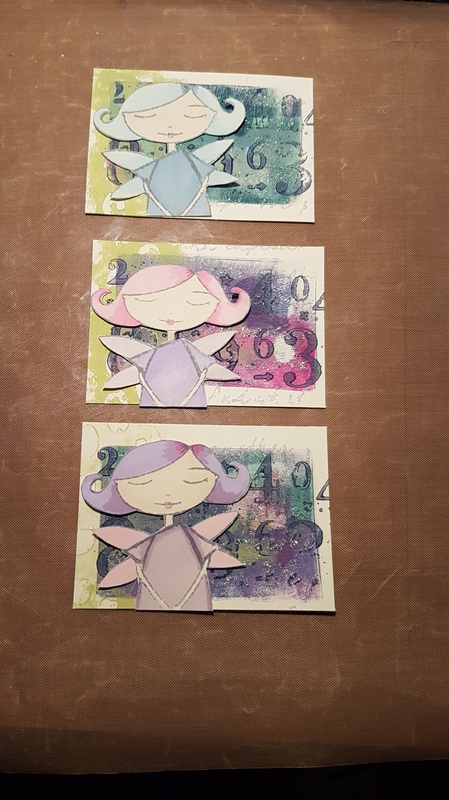 Then I fussy cut them out and trimmed each of the ATCs to size. I then decided which dairy went with each panel and started the process of adhering them. 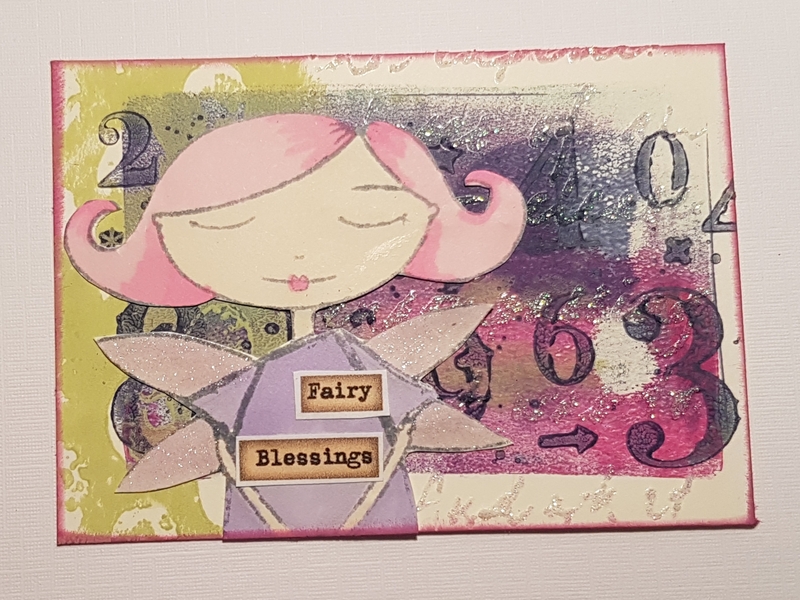 Next i grabbed a sheet of printed words and phrases and chose ones I liked for each of them and glued them down and finished off by edging each atc with some seedless preserve distress oxide and adding some wink of Stella sparkle to their wings! 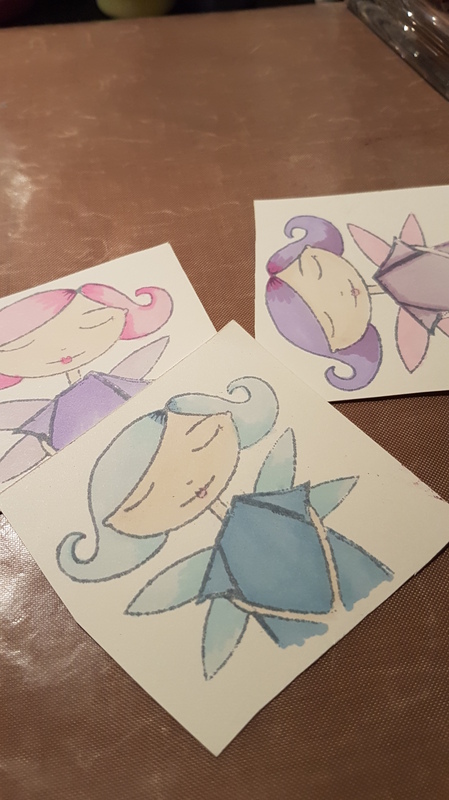 Love how these three came together and the mix of mixed media background style with the clean and whimsical image. Love them all!!!! Love that background especially. 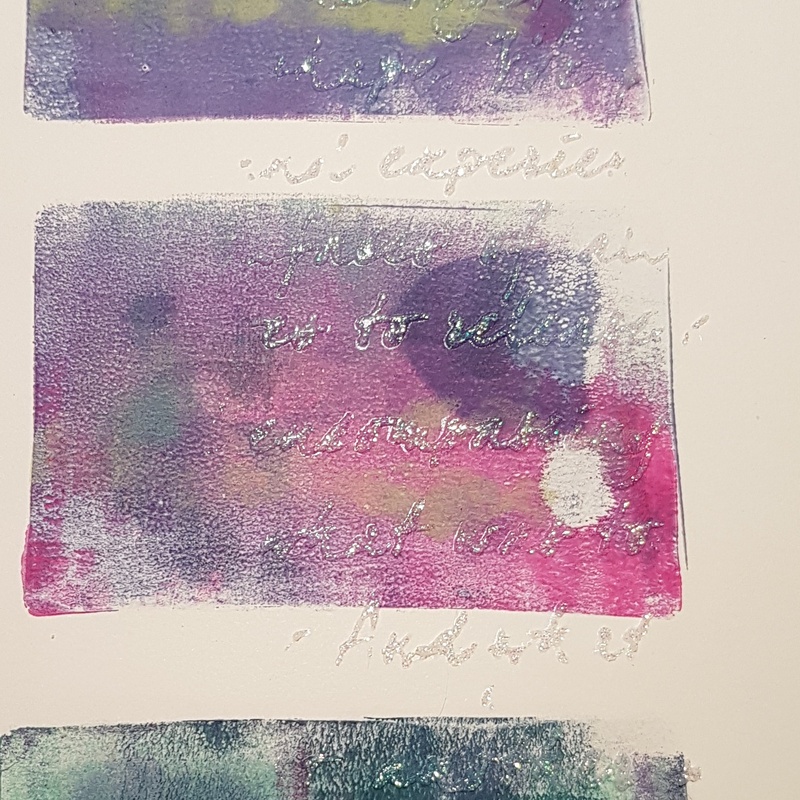 Me too… just loving using the gelli plate to do these little prints.